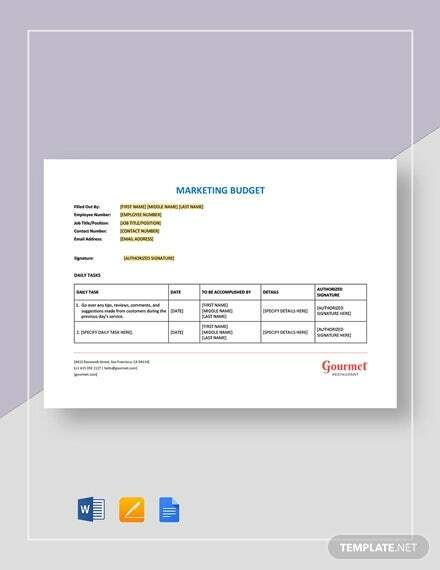 Every business requires a budget in so many aspects of it, especially in the marketing aspect; therefore, marketing budget is very vital because it is a projection of estimated promotional costs of your business. 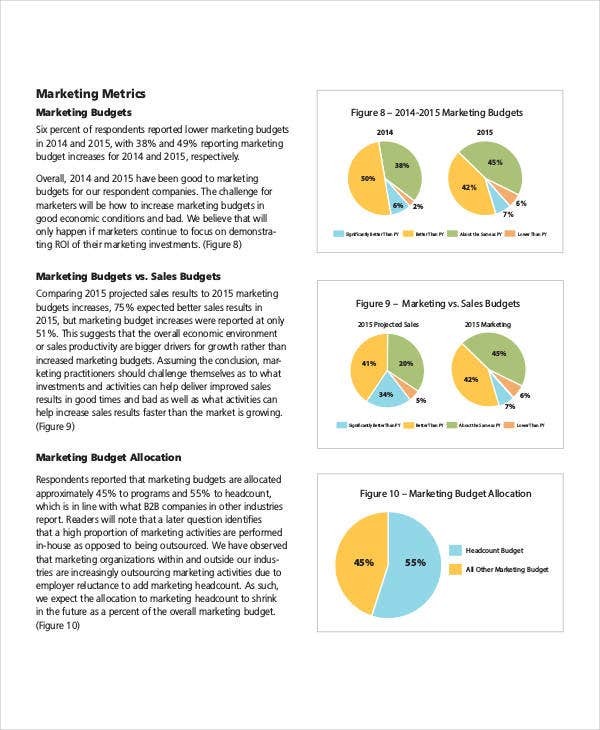 Business marketing budget requires strategic plans in order to properly play the role of interpreting how much money would be spent on promoting such as marketing communications, marketing staffs, and advertising. With regards to determining the perfect marketing budget samples in your business, there is a need to take a considerable time in reading and learning the good procedures and practices in doing so. 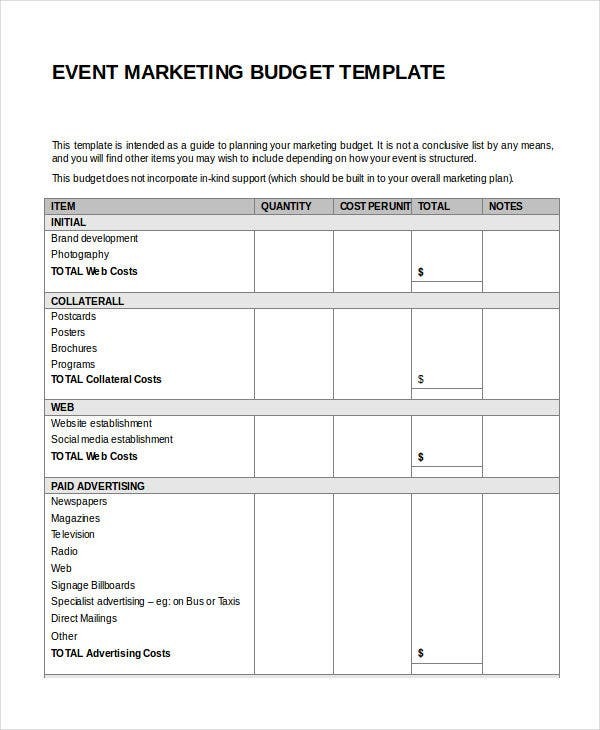 Meanwhile, a marketing budget template will be helpful too. 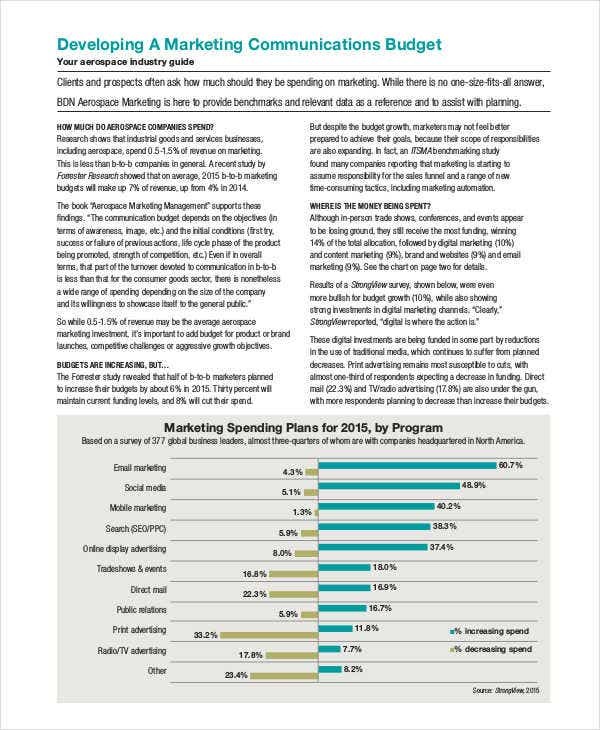 Most business entities plan their marketing budget by basing on previous years. 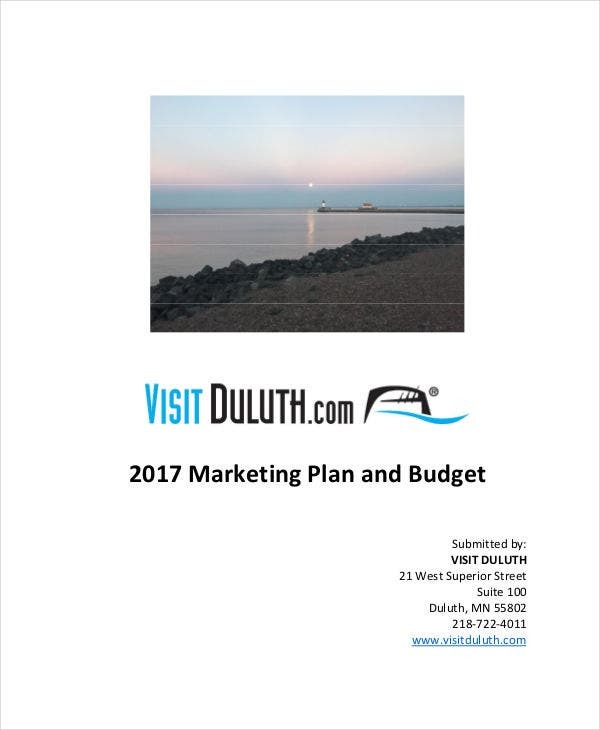 Also, when you plan on having a marketing budget, strategic business plans are also required to attain the goals and best results. Before anything else, start with a marketing strategy that matches your company’s goals. Both must synchronize with each other in order for your business to grow. 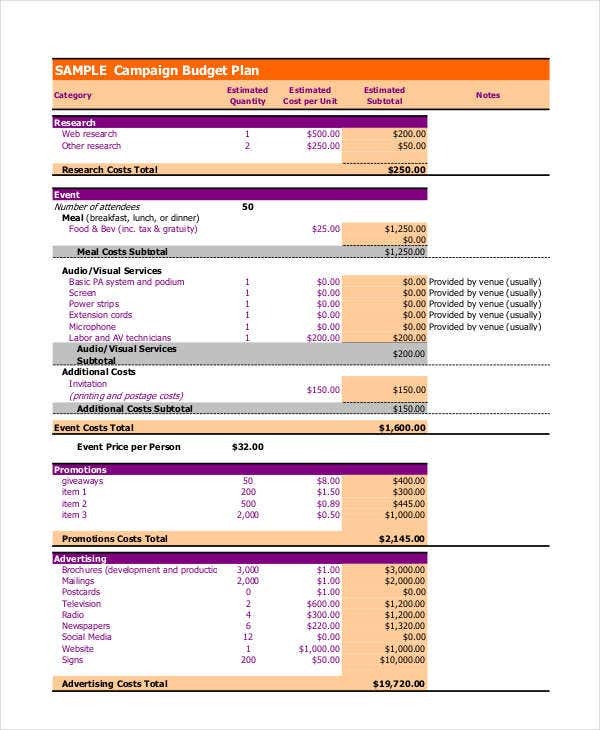 Visualize your marketing budget for a detailed marketing plan. There must be a lean plan that maximizes and retains your customers in your business, and a target plan is to captivate more customers and keep them loyal for a long time. Allocation of marketing fund is the next thing to bear in mind. 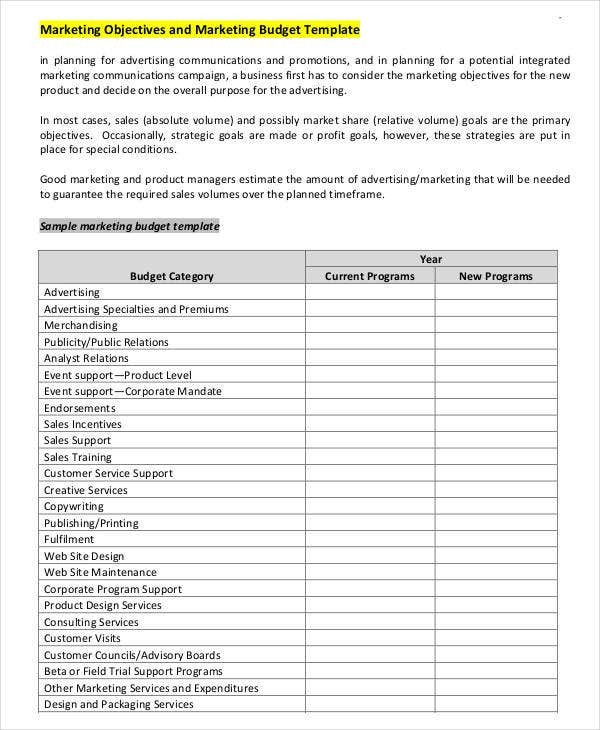 In doing this, you should determine first how much will be the cost of each aspect your plan, which would pave the way in creating a marketing business proposal for advertising institutions who wish to campaign for your business. Nevertheless, considering tactical plans such as paid advertising, social media, blogging, email, marketing, traditional/local, advertising is still a must. 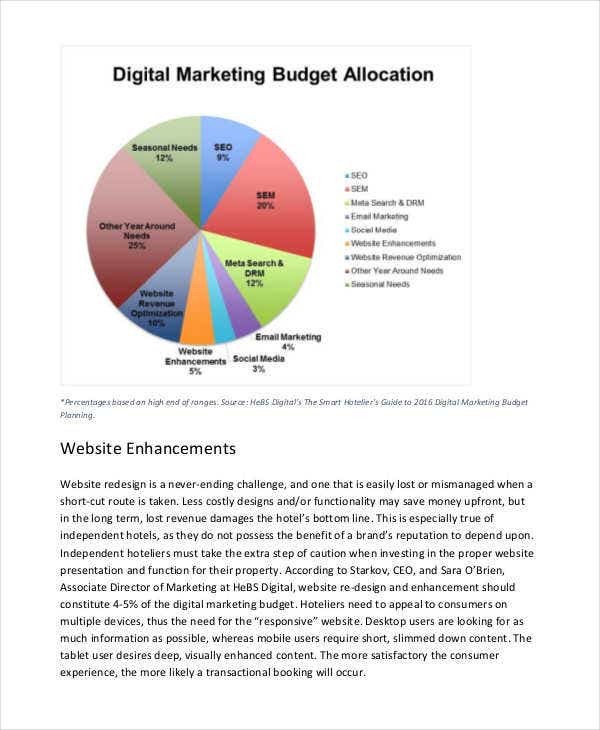 Since, tips have already been inputted previously, this time you will be indoctrinated with the essential elements you must know in the making of a marketing budget. 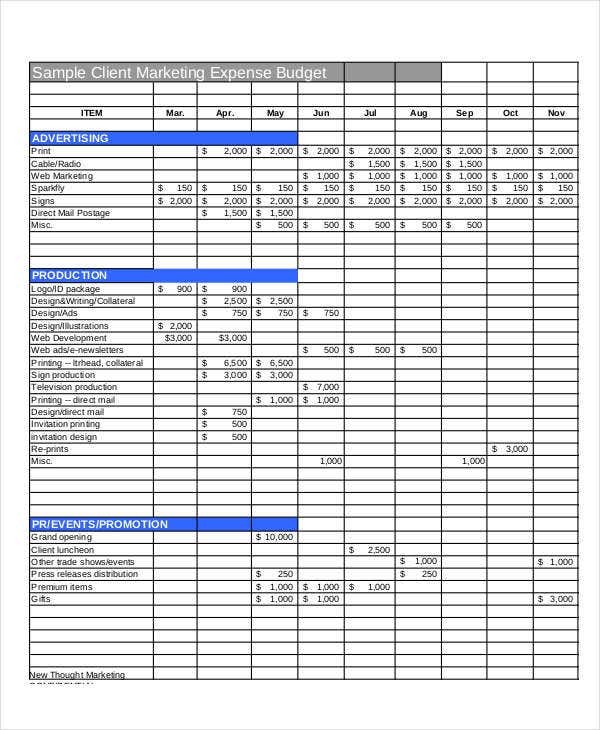 Notwithstanding, sample budget templates are still obtainable for your convenient use. 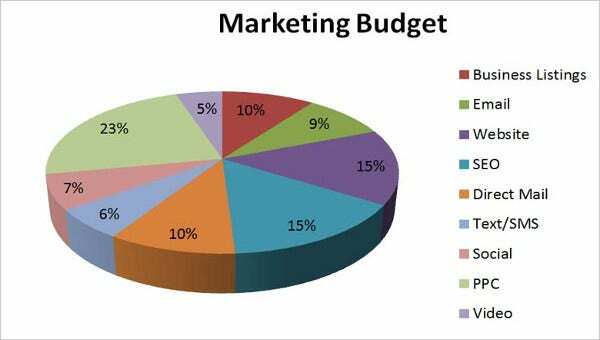 Also, knowing the elements of marketing budget is one of the ways on how would be able to position well your marketing budget proposal.